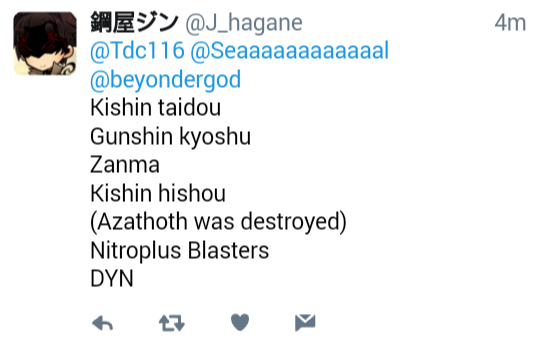 I asked him point blank about the canon's even about the Crossovers/Spino-Off included and Here is all the Canon to and within the Demonbane series. I'm having a little trouble finding the tweet in question. Do you have a link to an external archive, maybe? @nullfather wrote: I'm having a little trouble finding the tweet in question. Do you have a link to an external archive, maybe? You got to go through my Twitter lol I don't post much so you shouldn't have any problems.